Donny Hathaway was born in Chicago, but was raised in Missouri by his loving grandmother Martha Crumwell, a respected gospel singer. Donny learned to play the Ukulele at the tender age of three and accompanied himself during performances. In fact he was good enough to gain the respect from the local community and was afforded the stage name 'Donny Pitts the Nation's Youngest Gospel Singer. Though Donny was exposed to the pop & R 'n' B of the time as a teenager, his strong willed grandmother discouraged him from further exploration. The possibility to enter into a three year Fine Arts study program at Washington's Howard University was seen as an opportunity to 'spread his wings' and experience life. Donny also found love at Howard University, meeting his wife to be ‘Eulaulah’, who was studying classical voice at the time. Leroy Hutson and Donny became close friends after sharing a room at Howard for a year and a half. He recalls how Donny's immense talent was immediately recognised by friends and tutors at the university, but this immense talent also caused much internal turmoil throughout his life. Hutson recalls, Donny was not a regular face in class, but when he did attend many theory tutors would stand to one side, allowing Donny to lead the class on the keyboard. I remember playing Miles Davis Porgy and Bess album, recalls Hutson. Donny came into the room after a gig and sat down listening intently. Donny then began moving the needle around sampling different parts. He then sat down at his keyboard and rearranged the whole track stretching the chords etc while still listening. He managed to make it his own. I was playing the basic structure at the keyboard one Tuesday evening when Donny came in. He immediately took an interest saying. “No Hoss”, (his nickname for me). “It should go like this”. Donny took the bass line I was playing and rearranged it into the bass line structure we all know today. The whole song took an hour and a half to complete. We watched the cars drive by out of the window as the rain started to fall. The cars seemed to be moving to the rhythm of the song. By this time Donny was already part of ‘The Mayfield Singers’. A group formed by Curtis Mayfield. Donny would later meet Ric Powell at university and become part of the ‘Ric Powell Trio’. With such busy schedules looming, Donny and Leroy would see less of each other as time progressed, eventually they would loose touch altogether. Hutson did contact Donny in his senior year in an attempt to dissuade him from going on the road with Curtis Mayfield, as it meant Donny would not graduate. Huston felt that Donny was increasingly impressed by “the wrong kind of people”, (in particular Ric Powell). As far as Hutson was concerned, “Ric was a better talker than he was a drummer. Frankly Donny took to him in a way that disturbed us all”. Donny’s wife, Eulaulah shared Leroy’s low opinion of Ric Powell’s influence over her husband’s decisions. Yet she felt the decision to quit school was not necessarily a bad one. Eulaulah felt school did not have anything further to offer her husband. In her opinion he was already skipping lessons. And still making straight ‘A’s! 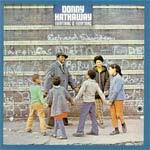 Donny moved back to Chicago to share his talent with Curtis Mayfield on his newly born Curtom label. Initially he was given the title ‘staff writer’, but Curtis was so impressed by the twenty one year olds genius and confidence, he would soon give Donny the opportunity to arrange and produce material for acts. He was able to influence artists such as The Five Stairsteps, The Impressions, Holly Maxwell and even performed the duet “I thank you” with June Conquest in 1969. It was the formidable King Curtis who introduced Donny to Atlantic Records after they met by chance at a record fair. Initially Donny’s compositions would be heard through Roberta Flack, whom Donny had previously met via her former husband who played in the same band with Donny back at Howard University. The Hathaway / Hutson penned classic “Tryin’ Times”, (which was a major cut on Hathaway’s first solo set “Everything is Everything”), initially saw life on Flack’s first album. 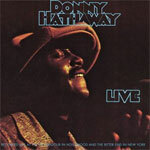 In 1970 Donny Hathaway’s landmark album “Everything is everything” was released. An album which would spawn the hit 45 “The Ghetto”, as well as highlighting Donny’s deep, dramatic gospel drenched ballads, such as “De vous Aime”, which is dedicated to his wife Eulaulah, (who also contributed on background vocals). Donny was still only twenty-four years old. A year later Donny’s second self-titled album was released, which contained the wonderfully reflective “A song for you”, written by Leon Russell and the heart wrenching “Giving up”, penned by Van McCoy. “Come back Charleston blue”, Donny’s contribution to the growing ‘blaxploitation’ era was also released in 1972. Donny’s live performances where also beginning to stir much interest by this time. So it was not unnatural to see the release of what would become the first of his celebrated live albums. The following years were definitely significant for many reasons. Donny would join forces with Roberta Flack. Their first duets album would spawn the commercially successful “Where is the love”. Such commercial success would normally bring a certain level of contentment, but Donny was definitely not content with commercial success gained in this way. He was continuously torn between his strict gospel teachings and the trappings of success, as well as the constant yearning for recognition for ‘his own’ material. By 1973 Donny would be diagnosed paranoid schizophrenic. Initially, Donny’s diagnosed illness did not halt his creative genius and exploratory impulse. The release of “Extension Of A Man” certainly highlighted such traits. “Come little children” was written in 5/4. A rhythm not normally associated with modern ‘black music’. It’s basically a call and holler song, similar to what the slaves in the field would sing. Donny just did not want to be limited by what was seen as the ‘norm’, or constrained by ‘music fashion’ in any way. Yet the constant pull of his strict religious upbringing would never be too far from his thoughts. And though it was clear to those who listened and absorbed his music that such ‘religious training’ radiated from deep within his soul. Whatever the subject matter, the intent was clear. Songs such as “Someday We’ll All Be Free”, “I love you more that you’ll ever know” and Love, love, love are no less than jaw dropping spiritual, soul reaching anthems. Donny was twenty-seven years old when artists such as Stevie Wonder, Marvin Gaye, Sly Stone and the Isley Brothers were mixing many different flavours into their soul sessions. Many thought that Donny should have been at the top of the pile, or at least ‘mixing it up with them’. But for whatever reason his mental health continued to deteriorate. Some say he never came to terms with ‘relative success’ and the many ‘negative offerings’ that were on offer within the business. Coupled with his strict religious upbringing, the two distinctly opposite elements seemed to be on course for constant collision. Though Donny continued to do session work while on and off his medication, he released only one ‘solo album’. “In Performance” was a collection of outtakes from the first live album. This would turn out to be his last. Hutson recalls how he had witnessed evidence of Donny’s illness first hand at a concert in Chicago. … Donny obviously was very paranoid. Between shows he would go out and pace up and down in street. Hutson was able to persuade Donny into letting him assist on another solo project, which Donny had started working on. Unfortunately Atlantic Records had a different agenda (more duets). So work on Donny’s solo album would continue at Hutson’s house when time allowed. All seemed to be progressing at a steady pace. The outline of five songs was laid down before the negative intervention of Ric Powell put a stop to further progression. Out of respect and courtesy, Hutson sent these unheard, unfinished potential gems to Donny’s wife after his death. By the time Donny had started work on compositions for inclusion into the album “Roberta Flack featuring Donny Hathaway”, his illness had reached a point where he required a nurse to accompany him. This album was initially set out to have Donny singing duets all the way through, but his illness slowed production. Donny had been acting strangely for some time. He’d be talking to us in one voice and answering himself in another. He would occasionally sit down at the piano completely absorbed into a classical composition he was working on, drifting into gospel or Jazzy tangents. He would leave the studio for a while, returning in a more settled mood. On January 15, 1979 we managed to complete “You are my heaven” and a couple of verses of “Back Together Again” before the night ended. A couple of hours later Donny was discovered dead on a balcony at the Essex House Hotel, which overlooked New York Central Park. It has been reported that Donny Hathaway was actually in love with Roberta Flack and he was distraught over not being able to have her as his own (she was already married). Reports state that he threw himself out the window (with Roberta Flack in the room at the time). Despite the varied theories and cofussion after the incident, the police concluded suicide. Mainly due to the fact that the door to his room on the 15th floor of the hotel had been locked from the inside.. I was a scrawny five years old in 1970, the year Donny Hathaway’s Everything is Everything was released. A year later Donny’s self-titled second album was released. Though both of these albums were not part of the family collection, my sister was a regular visitor to the many soul / dance clubs in the London area, such as Crackers, Global Village and Tiffany’s. Donny Hathaway & Roberta Flack’s singles were regularly aired in such clubs. We would also listen to the likes of Roy Ayres, Deniece Williams and Slave etc I still remember discussing Donny’s tragic death with my sister in 1979. Atlantic had rush released the ‘Roberta Flack featuring Donny Hathaway’ album with the classic “Back Together” track released as a 12” single. 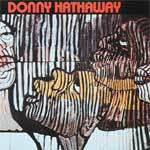 Though I did not really understand or comprehend the significance of Donny Hathaway’s contribution to music. I sensed from the vague and scattered news reports that his death was a great loss. I later bought the best of Donny Hathaway in the early 80’s, but still naively concentrated on his duets with Roberta flack. It was in the 1990’s that I started to explore the rest of that album and became mesmerised. Not only by his limitless emotion filled voice, but also by the immense vulnerability which was so clearly evident on many tracks such as “A song for you” and “Some day we’ll all be free”. I cannot understand why I had missed such gems before and could not believe it took me so long to ‘just understand’! I do remember listening to interviews with specific vocal artists such as Jocelyn Brown, George Benson, Leo Sayer. (yep I did say Leo Sayer) a few years prior to my discovery. 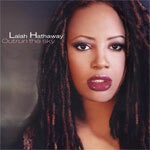 All three artists praised Donny Hathaway and acknowledged Donny as a major influence in their lives. I recently heard the likes of Justin Timberlake paying homage to Hathaway. 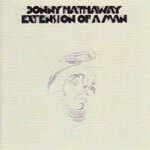 I have conversations today with knowledgeable journalists and music lovers whose ears stand to attention when the name Donny Hathaway is mentioned. It is so refreshing to exchange thoughts, memories and the joy this man’s music brings into our lives. his voice is able to raise the hair on the back of my neck every time. though I would not want to be without any of the others. His live contributions are all gems. 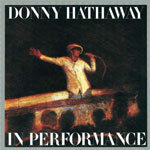 I believe many artists today and ‘yesterday’ could learn from Donny’s live recordings. 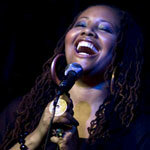 Also, check out Lalah Hathaway (Donny’s daughter), her vocal delivery (like her father’s) expresses every human emotion! Frank McComb's album to view his photographs and read his review.